It offers regular waterfall, but it becomes the home of different types of animals. The local government also makes it a protected forest for local faunas. Not to mention it becomes a tourist lure in Konawe. It is a wonderful place for relaxing, as well. 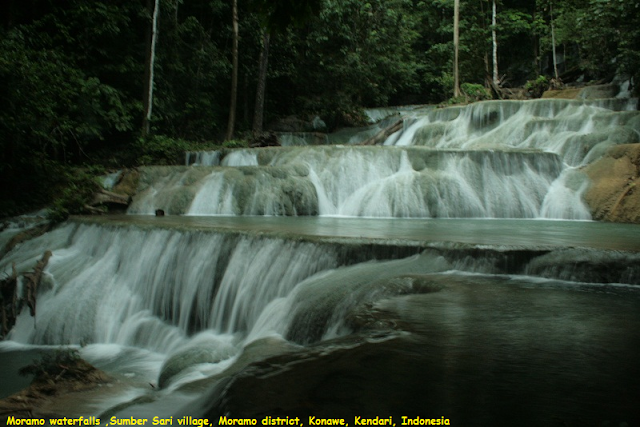 Once you reach the waterfall, you may see an unspoiled beauty of nature. The waterfall has the height of 100 meters. It consists of different levels. These include 7 primary levels and tens of small levels. All of them look flawless, though. The waterfall also features a calm pond or river. Near to it, you can find shady trees and bushes. Not many people are seen in this area, so the nuance is quite peaceful. No wonder, tourists come here to enjoy the serene nature and explore the unspoiled landscape. You can swim in it.